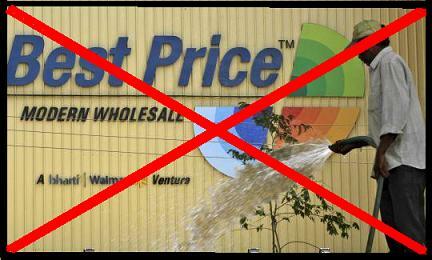 Walmart India | Walmart India is an Economic Predator uses Child Slavery, Paid off politicians, sweatshops and predatory pricing. 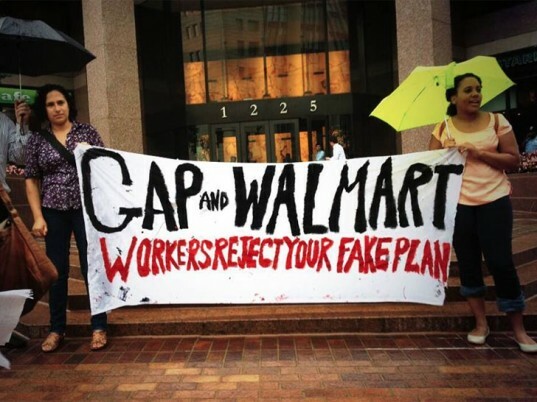 Walmart, Gap, and the lot are in cohorts with each other so they can continue to exploit slave labor in impoverished countries. Their plan is to push their slaves to the absolute limit until they literally burn in their sweatshop machine. This more than apparent in Bangladesh, this is a country where people have been dying for over 16 years. They can control the media to manipulate the perception of the masses. This gives them reasonable doubt in the court of law to get away with their global crimes. They have hired fake activists who pretend to work for the people when nothing actually happens in the background. They have made sure that no one is able to fight back so they can continue their system of profiteering without any kind of hindrance. Seems impossible? No, its not! Their track record is clear, and they have no intentions of changing their ways. All they have to do is continue manipulating the laws of the world so they can continue their evil feeding frenzy. Yes, they are nothing more than a blackhole of infinite greed that will stop at nothing. They are not the kind of people who have any kind of remorse because at the end of the day all that matters to them is their billion dollar profit. Obviously, by hook and crook. But then we know the real value of their profiteering, it costs human lives that they consider worthless. The downtrodden are nothing more than fodder to burn in the machines that feeds their never ending greed. The factor of profiteering is simple – Get cheep goods from China, Bangladesh, mexico and other countries where Sweatshops are installed and lay back to feed on the profits for years to come. If any one tries to question them, then they pretend to help their victims when they are entrapping them in a system of debt. Just like Walmart “pledged” 50 million “loan” to the factories which eventually they will have to pay back at a very heavy interest rate. 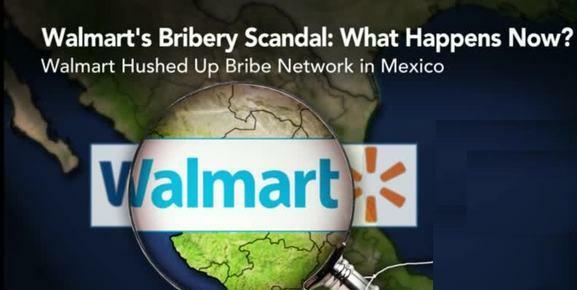 Walmart uses the media as one of its primary tactic to warp the mindsets of the masses. This is the ultimate method to hide all of their global crimes from the eyes of the masses, and continue their poisonous system of manipulation. They have been at it for decades, and they have the financial power to hire lawyers that can get them through the law system easily. They make billions, and they get away with their crime by paying few thousand dollars in the court of law to show the masses that the justice system works. However, at the end of the day, they get away with their crimes. They use their predatory tactics to destroy hundreds of businesses by surrounding a flourishing economy, and bring in cheap Chinese and Bangladeshi goods to eliminate all competition. It is a perpetual trap that keeps the masses completely entrapped. The people have no way of fighting back, and when their perception is manipulated — then there is no way out of the sinkhole created for them. This is a never ending loop the feeds the evil retail beast. The best part is that they do not work alone. It is a consortium of evil. Top retailer brands like Carrefour, IKEA, Metro AG, ALDI and many others in the ranks are working together to entrap the masses into their web. Most people consider these brands to be separate, but they are the only ones who are creating the market trends that others have to follow. No one else has the financial power to break through the competition because all of it is sourced from Sweatshops in Asia. They are the only ones who benefit from these goods at the end of the day. The slaves in the sweatshop work 13 to 16 hours a day to barely get 25 $ a month, and its NOT enough for their families to survive. Are we talking about the safety conditions yet? If you give the slaves any kind of safety features, then it wont be a profitable venture now will it? This is a basic fact for these evil corporations that have been running their slave houses in the so-called independent world. 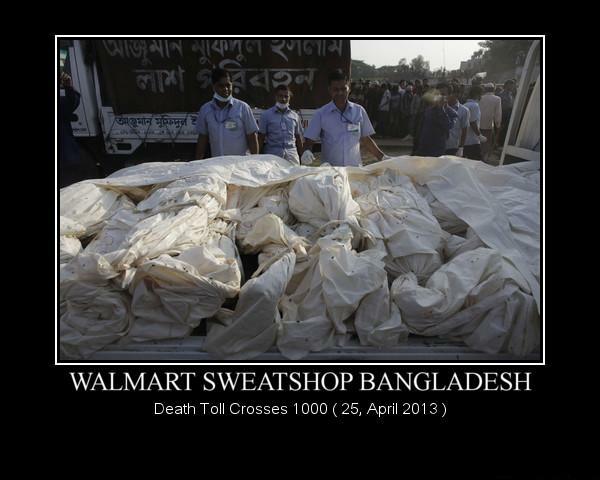 People have been dying in Bangladesh for years, and the frequency has been going higher in the year 2013. There are no measures taken in the country even though there has been a major uproar in the media. These evil manipulators make it a point that nothing happens in their system of evil and their feeding frenzy continues — as the poor become their prey. Where are you going to go for work? There is nothing else out there, Walmart and the lot has made sure their slaves have no where else to go. People are suffering in this perpetual trap, and the monsters behind this poisonous system have to be destroyed. 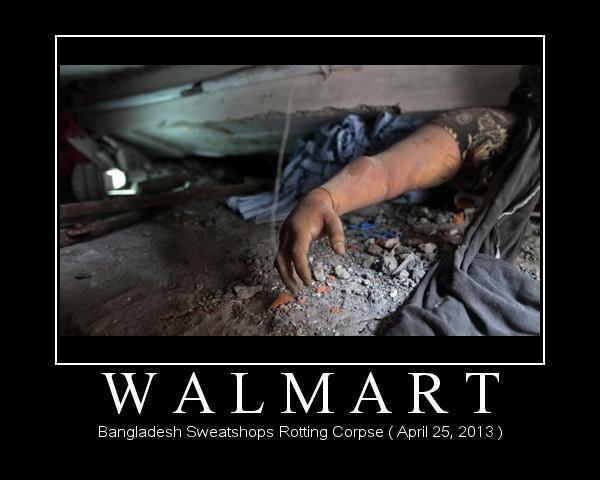 Merely Two Weeks after the Walmart Sweatshop Building Collapse in Savar, Dhaka in Bangladesh, which has topped the deaths of over a Thousand Wage Slaves (25 April, 2013 ), There has been Another Sweatshop Fire on 8th May 2013. This is a pattern here that is not only being followed by just one single factory owner, the whole country has been put into a depraved state by these corporations who know exactly how to manipulate people. When you are constantly in the state of debt, then you will just leap into the solution that is going to be put before you. Most people are not able to see that it is not a solution but a life threatening trap. This is more than evident by the constant deaths happening in Bangladesh. This is not an isolated event because it has been happening for over a decade. The people do not know a way out any more, they just know how to remain trapped until Death comes to set them free. Yet, the true criminals are those people who have set up this trap so they can literally prey on the most poor. Who cares about them right? They are just cattle who can be used. Who cares about the poor? They die every single day. Who cares about giving them proper work conditions? It’s too cost ineffective. HEY! If We have to give so many privileges, then we would just hire people back home! BUT NO, They are too expensive.. This is a power game, where the most poor get literally thrown into the meat blender to be used as corporate fodder. The trap that has built around them has been done for years so the people can be brought down to this depraved state, and this has continued since the time of the British East India company. When a puppet government was installed to control the people, along with the debt based economy. All you have to do is put the most corrupt on top, and the rest of the population can be easily controlled. When you have the man on the top in your pocket, then the whole country can be easily manipulated. The Zionist owned British East India company is responsible for this act, just like “David Cameron’s family was responsible for installing the banking system in the East, under the rule of the East India company. If you meet all the liaison’s dealing with contracts in such Sweatshops, they can all be found in UK. Same Scene with China, as they are nothing more then slaves themselves, the inflation rate is rising, and the labor has become a bit more expensive. Bangladesh has become the primary target as people can be paid even less than China now. They have become the target for the next 25 years, as all the blood sucking corporations have taken their production units in this country. Can We expect more deaths in the future? Definitely! Will the Corporations like Walmart, Tesco, Disney, etc use the media to wash their hands off the future Slave Genocide? YES! Economic, social and psychological atrocities will continue, deaths of slaves will be a common denominator. 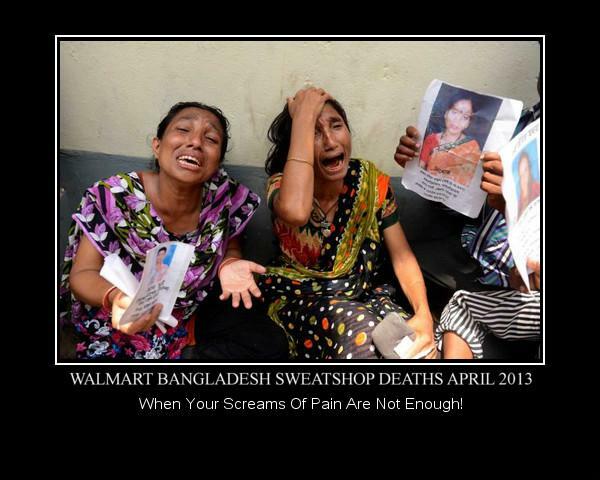 Walmart rejoices as they have successfully tried to suppress their involvement in over 500 deaths in Bangladesh ( Garment Factory Collapse – 25th, April 2013 ) by putting the blame on the Building owners, and the the Government of Bangladesh. When the Corporations can easily manipulate the government, and the smaller links in the chain, they can easily get away with their crimes, and they have been successful for years. This criminal corporation has successfully destroyed hundreds of people over the years, by ensuring that the people of the enslaved country never get their deserved pay. Being the lowest paid workforce in the world, this is a country that has been targeted as a slave workforce that will be used as the “Workhouse” of clothes for the world in the coming years. China has lost its so-called “competitive advantage” for having the cheapest workforce that can be…”exploited” for profit maximization. The People behind these corporations are as slippery as an eel, as they know how to manipulate the minds of the people, and the laws of the land at the same time. The best part is that the people walk into their trap for short term gains, when they end up loosing much more in the future. Because of their short vision, the masses get entrapped in the intricate web that has been woven for them by the corporate predator like walmart. This is only one brand name that remains as the leader of all the corporations that originate from the singular evil force that controls multiple brand names to hide their true identity. As long as their true identity remain hidden they can continue their profiteering agendas for years to come. When you have “Fake Activists” working for these corporations, the voices of the people who have suffered under such systematic organized crime by zealots are easily suppressed. The best part is that no one realizes that there are a number of such fake activists that take control of the whole resistance, and suppress the people completely. A number of such manipulative techniques are used to control the opposition, where the people remain in a controlled state, and are never able to fight back for their rights. As the web of evil extends all over the planet, same pattern of manipulation is going to be followed to destroy the people. Will the Evil monstrosity of Walmart End? It is the source that must be destroyed which is manipulating all the extensions, when the source is destroyed, all the demonic extensions will vanish into oblivion. Their crimes are nearly unlimited, and they must pay for all the lives they have destroyed over the years. Walmart has been playing the same game of deception in every economy that they have targeted for sustainable exploitation, and certain countries have been chosen to become slaves. These are the countries that have been systematically destroyed over the years through various techniques used by the original terrorist of the planet, that always use a veil of confusion to mask their true identity. Mexico has seen the same kind of degradation over the years, and the officials in that countries have been manipulated in such a way that the people become the cattle burning in their corporate machines. They wipe out all the businesses in a slow manner as time passes on, and the only business will remain in the area will be theirs, however the different brand names are used as a veil to show that there is “competition” in the environment, when there is none. The laws of the land play the most important role in governing all the businesses, and they are manipulated by such corporations in such a manner that all their processes becomes very smooth. Also giving them a very strong defense that will never allow any one else to stand up against them. When the always are completely in their favor then they can easily use people as their cattle, and burn them in such a systematic manner that they will never even realize it. This is the main reason that corporations like Walmart have been able to make billions in such a short amount of time when they actually produce absolutely nothing. They manipulate the sweatshops setup in Bangladesh, china, and many other countries where people keep working their lives away for a meager wage that is just enough to keep their bodies alive but keeps them in a constant state of stress. If they want to make that little amount of money to survive they will have to work 16 hours a day or more to stay alive… barely.. It is a poisonous system made by the zealots specifically to enslave the masses, and they have done it in secret to destroy every community in the world for their personal greed. They continue their attack towards all the people of the world without worrying about the consequences because they know how to manipulate the system to suppress any kind of opposition against them. They manipulate the mindset of the masses to keep them in the mindset of slavery where the common people only think about their survival, and nothing more. Keeping themselves alive is the only thing that comes into their mind, and this keeps the real terrorist on safe grounds. When no one fights back, the corporate terrorist succeeds..! Walmart is built on the profiteering ideology of the zealots that owned the British East India Company, as we all know that they are being funded by the EL Rothschilds. Bharti Field Fresh is going to export farm goods from India to European countries, the best of the food crop, and the people of the country are going to be fed mass produced GMO foods to destroy us from the inside out. This is the very core of the economic, political, psychological, and physical attack being done by the zealots in many countries so they can wipe out every culture that was superior to them in every way. This is because they want to be number 1 in every way, and the only way they can make that happen is by destroying every one else, or convert them into their collective. Their evil mind always revolves around making everyone suffer, and they enjoy doing that my keeping them in a state of ignorance. People just walk into their elaborate traps, and they get ripped apart without even realizing it. Every bad choice made in your life is a weapon used against you by these monsters, and they use that towards their profiteering ends. Anyone who goes against their own country, and their people do get a short term gain but they loose out so much more that they cannot even begin to realize in the long term. There are many narrow minded people in the world that have chosen that path, and because of their amazing ignorance they have ended up destroying their own people at the hands of the zealots. 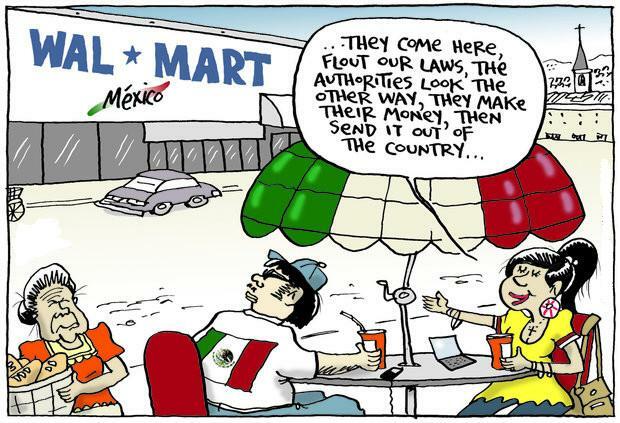 The same formula cane be seen in Mexico where the people are being impoverished by zealots in many different ways, and they do not even realize that who is making that happen to them. They have turned against each other, and they are being manipulated by zealots on the top which makes them loose every thing for years to come. Floating in the state of ignorance, they loose so much that can be hardly imagined. Yet, the con game of the zealots continues, and they keep feeding on humanity like people are their cattle and they are out on the harvest. People are the prey for the zealots, and they constantly cause pain and suffering all over the planet so they can pretend to be the kinds of the world when infact they are nothing more than bottom feeding para cites.